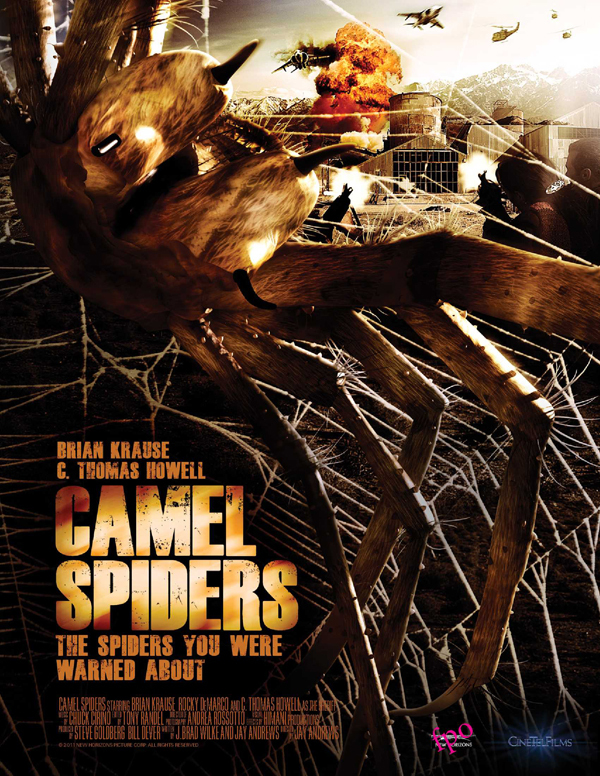 Based on actual creatures that for years have tormented our armed forces in the Middle East, these creatures have now invaded the southwestern deserts of the United States. The camel spiders now freely hunt for prey, unafraid of any predator - including man. No place is safe; no one is beyond their paralyzing sting. In the end a small band of hearty fighters are forced to make one last stand against the creatures. This page has been seen 2276 times.